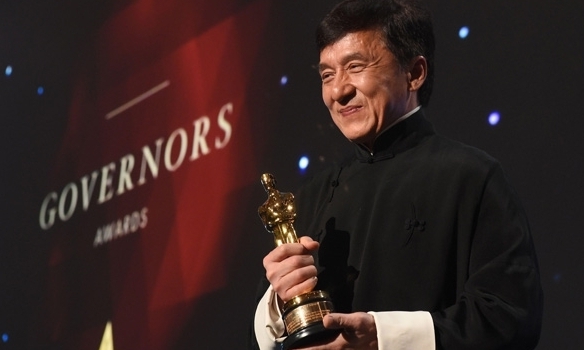 Chinese actor Jackie Chan received the highest honor one can in the film industry, an Oscar award. The man has been in the industry for 56 years now. 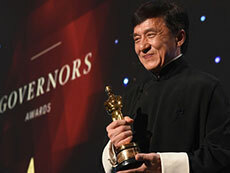 Celebrated martial arts actor Jackie Chan has received an honorary Oscar award. The Academy of Motion Picture Arts and Sciences announced in September that four industry veterans will receive Oscar statuettes. The award landed on November 12 at the 8th Annual Governor Awards. Chan has written, directed, produced and starred in dozens of films where he won over audiences with his humor and stunts. His most recent release was "Skiptrace," starring Johnny Knoxville. Past credits include the "Rush Hour" series with Chris Tucker, "The Karate Kid" reboot and voicework as the Shifu in the animated "Kung-Fu Panda" films. This was truly a great achievement and honor for the artists. The Academy President Cheryl Boone Isaacs described the recipients as "true pioneers and legends in their crafts."